Posted Thursday, January 6th, 2011 by Greg Gladman. Laser printers have fairly simple printing systems that generally use either one or four toner cartridges. If it is just one, that means it is a monochrome printer and requires only black toner. 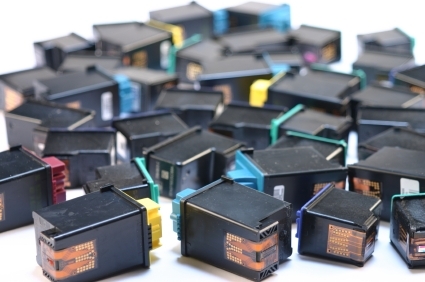 If there are four laser printer cartridges, each will hold one of the four standard colors- cyan, magenta, yellow and black. Inkjet printers, however, can be a bit trickier. Since inkjet printers are often used for photo printing, manufacturers have begun to utilize even more colors to produce a wider color gamut. 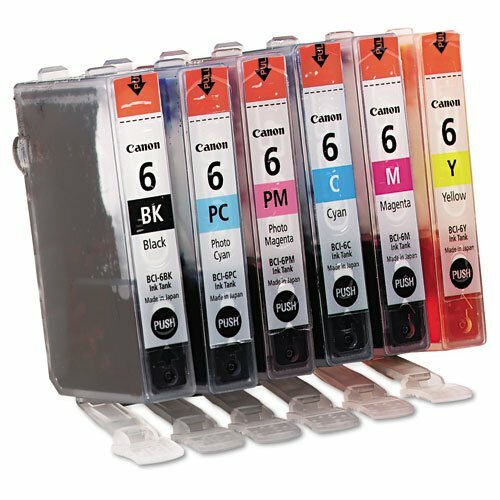 So over the years, the standard inkjet system that required only two cartridges has expanded up to eight cartridges for some models. Typically the fewer the cartridges, the less precise the quality, most inkjet printers are capable of producing solid text and clear graphics. This is the original system used in inkjet printers and is still a common practice, but often spruced up a bit. One cartridge will hold the black ink and the other consists of yellow, magenta and cyan ink. 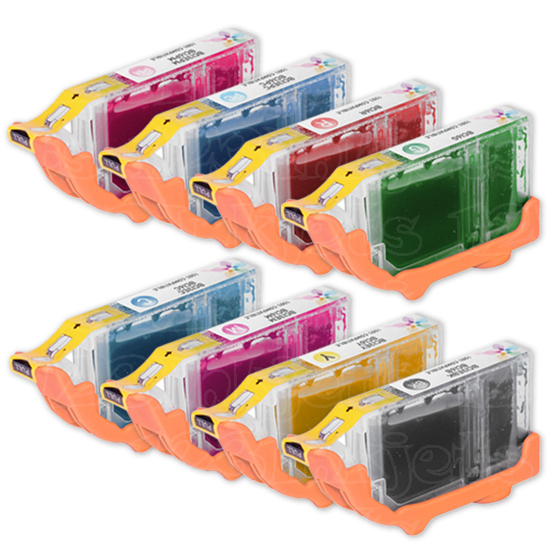 However, in some modern inkjet printers, particularly those geared toward photos, optional cartridges are available that hold other colors, typically light cyan and light magenta or gray ink. The reason for these extra cartridges that can be installed in lieu of the primary cartridges is to create more accurate photos. Just like color laser printers, some inkjet printers have four inkjet cartridges that hold cyan, magenta, yellow and black ink. The benefit of this system is that each color can be replaced separately as it runs out, unlike the two-cartridge system. These cartridges are often larger as well, so they don’t need to be replaced as often. 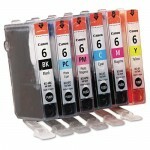 Machines that use six cartridges are generally designed specifically for photo printing. Along with the four standard colors, which are often referred to simply as CMYK, either light or photo cyan and magenta cartridges are needed. The extra hues help to saturate the areas of a print that would require half-toning, which basically means using less Cyan or Magenta ink to create lighter colors. The reason Yellow doesn’t come in “light” form is because our eyes cannot recognize flaws in the color yellow like we can cyan and magenta. The only users likely to really NEED an inkjet printer that uses eight or more cartridges are professional photographers or designers. These machines are expensive, as is the maintenance for them. The Canon i9900, for instance, has eight cartridges: CMYK, Photo cyan, Photo magenta, Red and Green. The two new colors printers like this introduce, red and green, expand the color gamut immensely, creating flawless images that are extremely true-to-life, but the cost of replacing so many cartridges is often prohibitive for the average user. Inkjet printers are known for the quality of photos and images they deliver, and the different levels of quality that can be achieved are partially based on the colors available in the cartridge system. The basic two or four-cartridge systems should be sufficient for most people, but photographers or photo enthusiasts may want to consider the larger cartridge systems with more colors. Those who are considering the upgrade should first factor in the extra ink costs, however, to determine if it is really worth it.